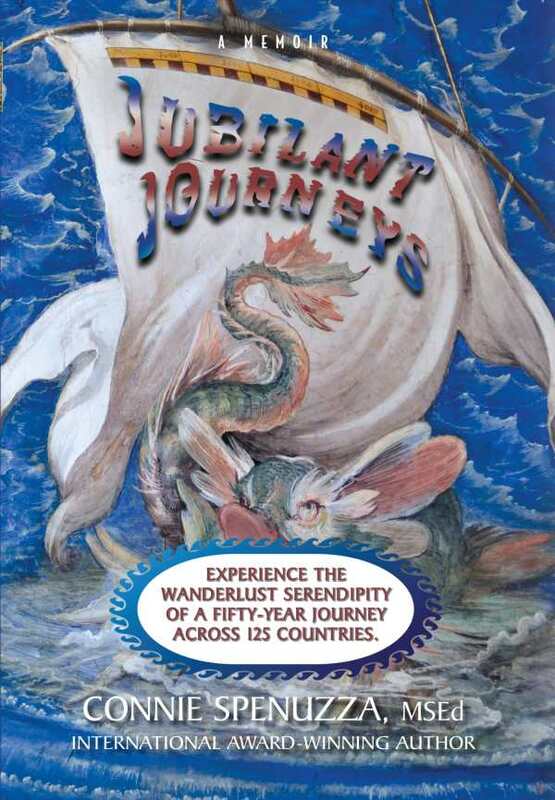 Jubilant Journeys is an inspiring and fascinating account of travels across the globe. Connie Spenuzza’s enthralling memoir Jubilant Journeys features moments of wanderlust, spirituality, and learning. Spenuzza and her husband have been traveling across the globe for the last fifty years, driven by their mutual love of discovery. Spenuzza’s interest in travel began in her childhood, during a stop in Miami on her way to Los Angeles. Advised that “curiosity makes you a world traveler,” the eyes of the girl from Quito, Ecuador, opened wide. Later, her husband would share in her passion; together they’ve seen over a hundred countries, visiting shrines for unborn children in Kyoto, walking miles of the Great Wall of China, riding camels close to the pyramids of Giza, and crashing a wedding in Italy. These experiences culminate in Jubilant Journeys, a wonderful reflection on different cultures. An attitude of wonder and a desire to learn more run throughout the book. Spenuzza assumes an objective tone, refraining from personal judgments in her travel accounts and learning as she goes. In Aguas Calientes (close to Machu Picchu), an art historian finds her comments insulting; Spenuzza hears him and develops new respect for local attitudes. Spenuzza’s are relatable stories that elicit excitement with their infectious enthusiasm: “We have been enchanted by forests of otherworldly gifts.” The text is conversational and entertaining, and its tone is inviting and warm, but it is also informative. Facts arise during interesting conversations with locals, as when an Egyptologist engages the couple using quizzes; they each try to outdo the other, and bits of Egyptian history are revealed in the process. Beyond the magic of its wanderlust, there are moments of fun. Spenuzza pokes at her superstitions and fears, imagining the growls of jaguars in Palenque, an archaeological site in Mexico, and noting the suspicious-looking macaques at Angkor Wat. Experiences that felt scary to her still feel so in the text, and the book is all the more engaging for them. Spenuzza’s travel accounts are not arranged chronologically, and some portions of the book move more slowly than others, taking care to include more details; other trips take a faster route, summarizing experiences instead. The less detailed accounts feel rushed through; here, more information makes for more absorbing reading. A fascinating account of travels across the globe, Jubilant Journeys is inspiring— both in its appreciation for other cultures and because of Spenuzza’s hunger to learn more.